Courtesy of Dwell Well Realty. North Park living at its finest— perfect for those who adore Craftsman charm and appreciate 21st century amenities. Even better, it’s a twofer: a 3 bed/1 bath main house and 1 bed/1 bath income suite on a 6000-square foot lot. Features include resurfaced original floors; skylights; updated baths with rain showers; modern kitchens with ample storage space; private backyard; and brand-new infrastructure— roof, electrical, plumbing. And, it’s just steps away from great shops, restaurants, and nightlife. Please, send me more information on this property: MLS# 190019677 – $999,000 – 3551-3553 31st St, San Diego, CA 92104. 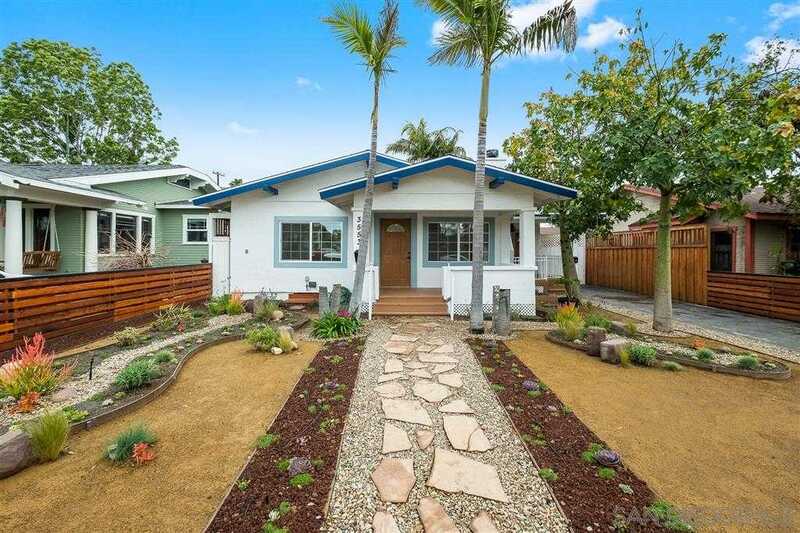 I would like to schedule a private showing for this property: MLS# 190019677 – $999,000 – 3551-3553 31st St, San Diego, CA 92104. © 2019 Ron Fineman — Coldwell Banker Global Luxury. All Rights Reserved. Real Estate Website Design powered by Home Junction.